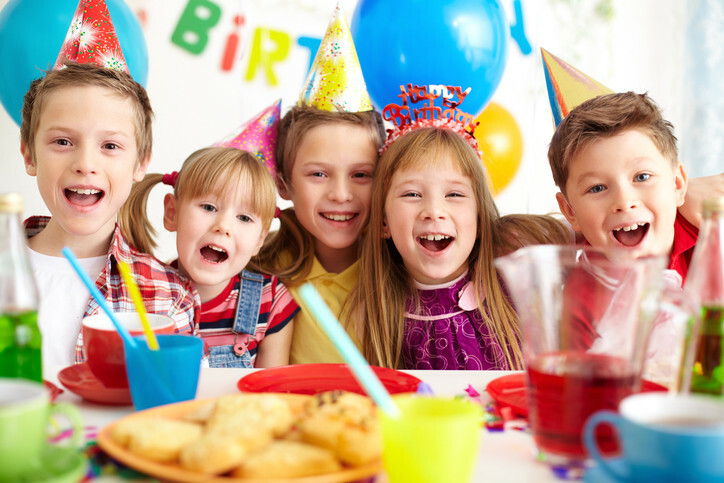 Looking for a great alternative for a Birthday Party? What better place to hold your child's party than at the Ponoka Gymnastics Club! Our facility is equipped with a spring floor, foam pit, beams and bars. Our party packages include 1 or 2 hours on the gym floor with our coaches and an hour in the party room. Participants mean ANYONE OUT USING THE EQUIPMENT. If siblings, parents, grandparents or anyone else want to participate, that's OK, but they must sign a Notification and Assumption of Risk waiver and will be counted as one of the # of participants you've paid for. There is a maximum or 10 participants per coach. Should you need to change your booking you can only do so until one week prior to the party date. Cancellations after this will lose their deposit. On the week of the event, no more changes will be accepted. This includes increasing the number of participants. This is purely an issue of safety and ratios. There is a fridge, freezer and microwave available for you to use. You will need to supply all of your own dishes, food, drinks etc. You are welcome to bring table cloth, balloons and other appropriate decorations. A signed copy of our Gym Booking Form and a $100 deposit are required to hold your party date and time. Every participant must have a Waiver filled out and signed by a parent or legal guardian. Children under the age of 4 MUST be accompanied on the gym floor by an adult. You may arrive 15 minutes prior to the scheduled party time to set up in the party room. Participants must wear proper active attire such as bodysuit, t-shirt & shorts/leggings with an elastic waist. NO snaps, buttons or zippers. NO jeans or dresses. Bare feet are best but gymnastics slippers can be worn. Long hair or bangs must be ties back. NO jewelry or watches. NO gum, candy, food or drinks allowed on the gymnastics equipment. The supervising coach is in charge and has full authority over all participants and, if needed, can expel anyone. Use of equipment is strictly forbidden without the proper supervision of a Ponoka Gymnastics Coach. Available party times on Saturday afternoons only. NO smoking or alcohol allowed on the premises.